Wed., July 11, 2018, 8:57 p.m.
LAS VEGAS – Brayon Blake scored five points in 11 minutes off the bench to help the Cleveland Cavaliers top the Sacramento Kings 96-84 and advance in the NBA Summer League tournament on Wednesday at Cox Pavilion. 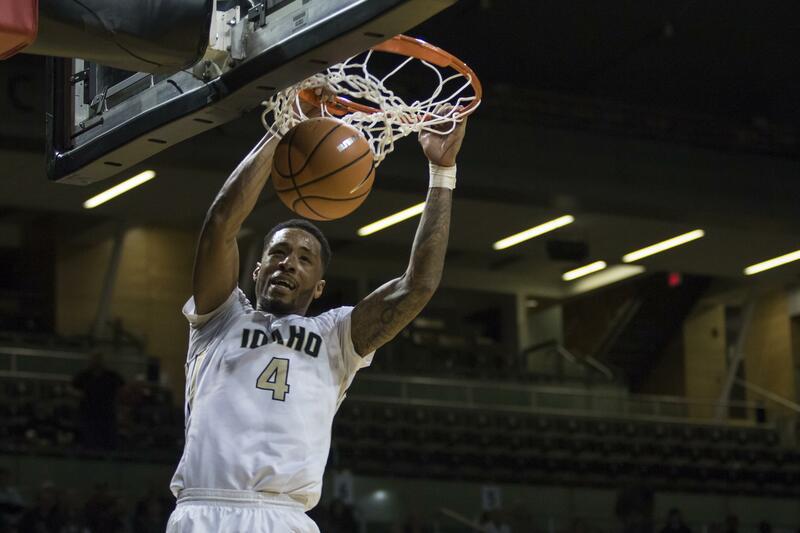 Blake, who was a two-year standout at Idaho, finished 2 for 4 from the floor, including making a 3-pointer. Former Washington State guard Ike Iroegbu pulled down one rebounds in eight minutes for the Kings in the loss. First-round pick Collin Sexton had 25 points and seven assists to help Cleveland. Sexton, who played one year at Alabama, made 9 of 15 field goals and 7 of 9 free throws. Jamel Artis scored 14 points and Okaro White added 13 for Cleveland. James Webb III (NIC/Nets): 14 minutes, 8 points (3 for 7 FG), 5 rebounds. Jacob Wiley (EWU/Mavericks): 13 minutes, 4 rebounds, 3 points, 1 assist, 1 steal. Published: July 11, 2018, 8:57 p.m.